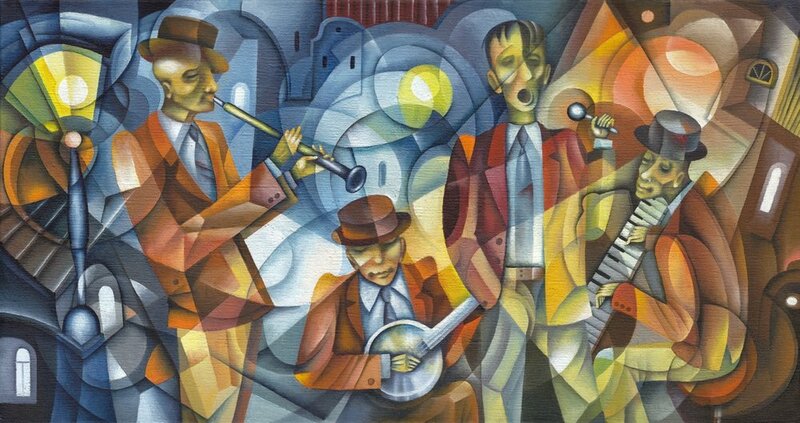 JAZZ AND ADVERTISING – WHAT DO THEY HAVE IN COMMON? There is a common misunderstanding about jazz that it is all about spontaneity and improvisation. We imagine that it’s all unbridled individual expression and creativity. If that were true, Miles Davis couldn’t have worked with a classical orchestra and make Sketches of Spain, which is essentially a group of classical compositions adapted to the jazz idiom. Think about this. How can a group of jazz musicians who have never played together meet for the first time, exchange a few words, and instantly play something you want to listen to? (Hint: it has something to do with process.) The reason is because of structure. Jazz musicians have a very high level of practical training, they read music, they understand time signatures, they know a very broad range of scales, they understand music theory, and there is a huge library of “standards” that they all know. Whether they are playing melody, whether the piece is chord-based or modal, and even if they are improvising, it is within a common structure that they all understand. The ability to create is enhanced by the presence of structure and common process, not obstructed by it. The idea that creativity needs to be chaotic and disorganized to work is a romantic misconception. The more you can standardize and simplify the common elements of any process, the easier it is to adapt it to different issues and situations as they arise. Organizations that pay attention to process and are willing to take time to question assumptions about how things are done are consistently more able to experiment and innovate and more able to respond to change without disruption. The idea that efficient process carries some sort of bug repellent that repels creativity could not be further from the truth. Process is like communication, or decision-making. You can take control of it, develop a clear point of view, and own it, or you can avoid it. Either way, you’re still communicating, even with silence or conflict avoidance, and you’re still deciding, even with inaction, by offloading responsibility, or letting circumstances dictate the result. The question is: do you want to control the process and optimize the result, or let it control you, and rationalize the chaos? No matter how you produce your creative work, what kind of assets you produce, or what platforms or media you produce for, you have a process. It may be clearly defined, or completely opaque, but it’s a process. Perhaps all important decisions are made by one person, so everyone is constantly competing to get work approved or get their questions answered – that is an essentially horizontal management structure, regardless of who has what title. Therefore, you have a process with a major built-in bottleneck. I heard a story about a director on a commercial shoot with a major brand who turned from the camera to the assembled agency and brand people on the set and said, “We have a lot of people standing around here waiting to be told what to do next. Maybe you guys should call somebody and find out what your opinion is so I don’t have to shoot this fifteen different ways.” Regardless of his delivery, everyone understands the truth of what he’s saying. Imagine what that does for the morale of the people in your organization if that’s how your process works. Clearly defined process, guidelines, approvals, streamlined decision-making, efficient meeting structure, clearly defined expectations; these are all things that enhance creativity by freeing people to be decisive. You can optimize your process, or rationalize discord and chaos. Optimized process is the sheet music; discord is just noise.